This is a comprehensive schedule of the Gathering of Friends weekend, Friday, March 22nd through Sunday, March 24th. YOU MUST BE ATTENDING THE GATHERING OF FRIENDS TO REGISTER FOR THE TRAIL, TOWN AND SERVICE EXCURSIONS. Most events require registration, as noted in the descriptions. 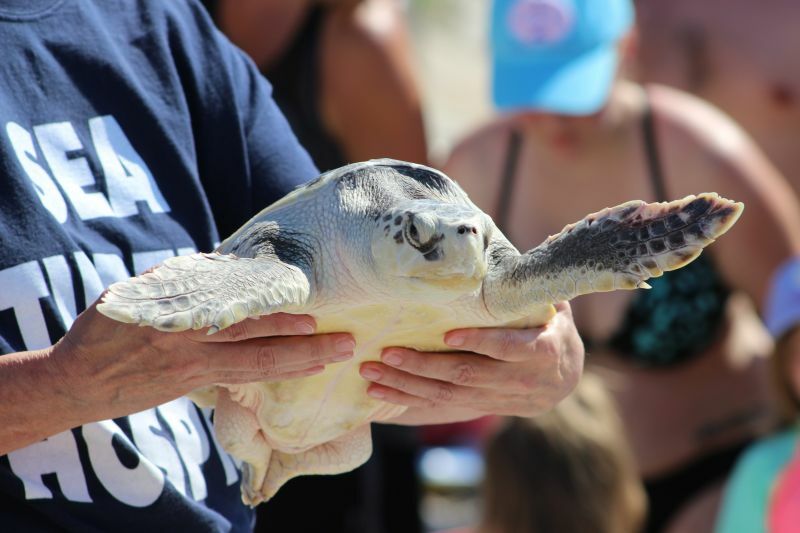 Registration for these excursions will be handled separately from the Reception at the Sea Turtle Hospital and Dinner Friday Night, and Saturday Annual Meeting registration. Please follow the links within each description to register for the excursions, making sure not to double book yourself for a time slot. Also, some excursions have a limited number of slots available, so please take care in signing up only for the events that you will attend. 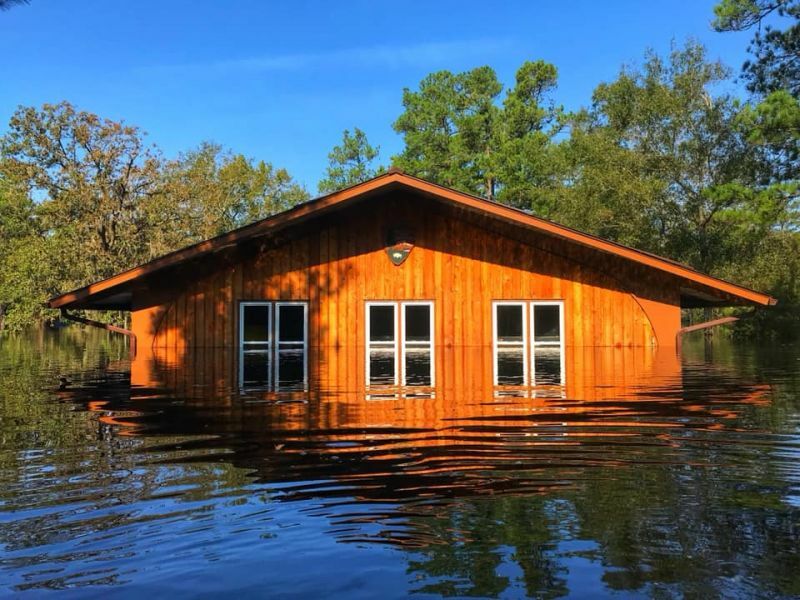 Pender County Tourism is hosting a concierge service to help with any arrangements while you are in town. Stop by to pick up a Visitors Guide and welcome bag (one per member family) filled with goodies, coupons and discounts from local businesses. 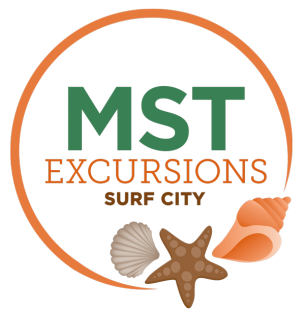 Friday 11:00 a.m. – 4:00 p.m. @ Surf City Welcome and Visitors Center (102 N. Shore Drive, Surf City) – grab your name tag too! Click here to view a google spreadsheet of all the excursions laid out by time slots. 1:00 p.m. – 5 p.m. TRAIL WORKDAY: Trail Building at Turnbull Creek Educational State Forest. Meet at the Jones Lake State Park parking lot (close to the entry). 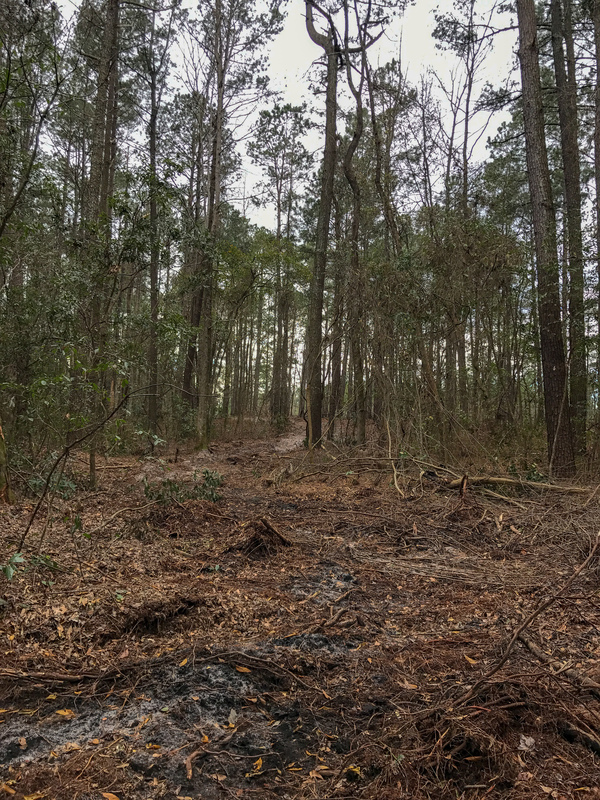 We want your help building a new section of trail that will cross the Jones Lake Drain and connect Turnbull Creek Educational State Forest’s trail system with Jones Lake State Park and extend the MST. The trail crosses through Longleaf Pine upland and a small Carolina Bay filled with floodplain forest tree species. Our friends at TCESF have sent heavy machinery through their forest to clear the path and we need to follow behind and put on the finishing touches. We will work on this beautiful March day, fingers crossed, to smooth the path, clear it of debris, and blaze trees along the route. Closed-toe shoes are required. Bring your own gloves and pruners/handsaws if you are able. Water, snacks, and fun will be provided! Trail stewardship supported by REI. We’ve partnered with Cape Fear Habitat for Humanity to work on a rebuild project in the Whitestocking Community, just east of Burgaw. The trail runs right through this area, and we’re thankful that we can help a family in our trail community return home. Bring a bag lunch and water. You will be contacted closer to the work date by Habitat to sign a waiver and get directions to the work site. No tools are needed. REGISTRATION IS REQUIRED. SPACE IS LIMITED TO 20 PARTICIPANTS, 18 YEARS OF AGE AND OLDER, PLEASE. Meet at 40 Patriots Hall Drive, Currie, NC 28431. Moore’s Creek Bridge was the location of the 1776 victory by a thousand Patriots over eight hundred Loyalists. The park provides facilities for hikers and a beautiful respite from the road walking in the area. The hurricanes put this park under a massive amount of water for weeks. As the National Park Service has repairs underway already, we won’t know the scope of work until March. Plan to bring a lunch and water. Tools will be determined based on work plan for the day and we’ll share that info as soon as we know more. Rangers will share some of the intriguing history of the site as you work. Trail stewardship supported by REI. Meet off 17 on the western side of the game lands; the parking location is exactly 1.8 miles north of Highway 172 and exactly 1.8 south of Highway 210. Look for balloons and signs as you travel on Highway 17. Explore these beautiful game lands with task force leader Tim Supple. You’ll pass carnivorous plants, pocosin ecosystems and longleaf pine savannahs. You’ll also visit their beautiful bow string bridges – which are an innovative type of bridge designed by volunteer Mike O’Neill and not seen anywhere else on the trail. The task force will share some of the perks and challenges of building trail in this type of environment. Meet at On Shore Surf Shop, 409 Roland Ave., Surf City. 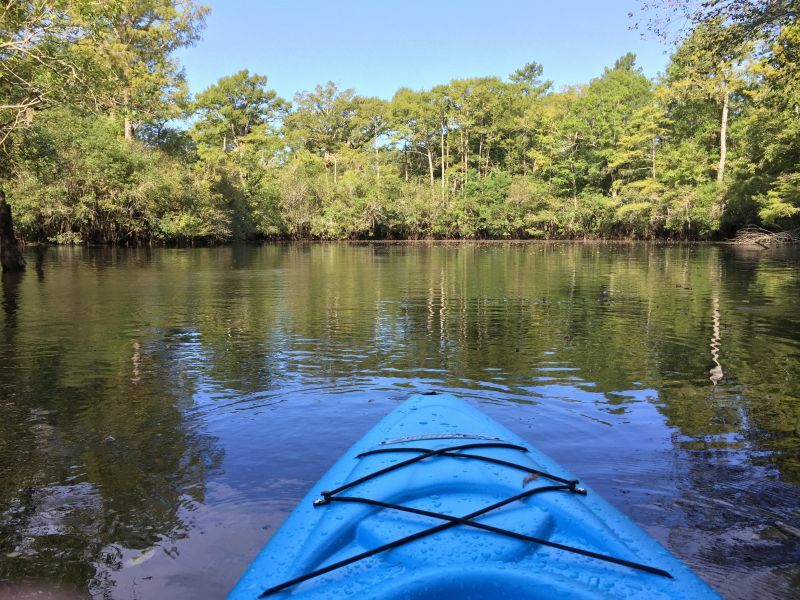 Get outfitted with a PFD at On Shore Surf Shop and stand up paddle board or kayak and then launch at 1 p.m. We’ll traverse the Intracoastal Waterway with guide, George Howard, for a two-hour excursion. $20 fee per person for SUP or a kayak; must pre-register to ensure your spot. 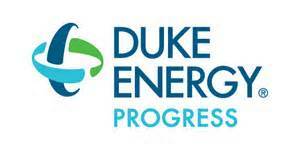 For more information call 910-328-223. 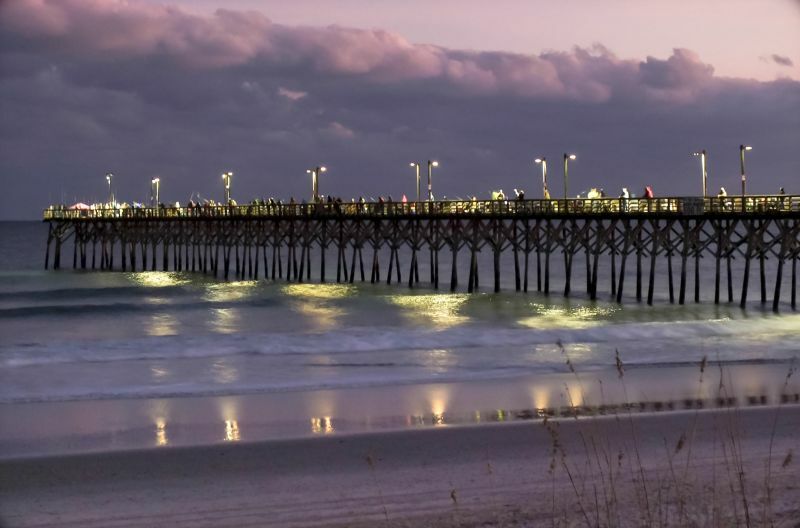 Meet at the Surf City Welcome and Visitors Center (102 N. Shore Drive, Surf City). Staff from Ecological Marine Adventures, a marine education center who believe that hands-on learning is the best kind of learning, will teach us about the Topsail Island eco-system as we hike the beach picking up trash. We’ll split into two groups – one going northbound, the other southbound, learning as we go. As we meander, we’ll pick up trash, experience the beauty of the MST on the shore and see some of the beachfront reconstruction that is underway. We plan to walk out an hour, and turn around, but your speed and stamina will dictate how far you will walk. Meet at Surf City Community Center, 201 Community Center Drive, Surf City. Hop on a bus with Surf City Mayor Doug Medlin as he shows off his favorite cultural and historical spots on Topsail Island. You’ll stop by the Finger Canals, Trailer Bar, Barnacle Bill’s Fishing Pier Remnants, The William Sumner Shipwreck, Bumble Bee Tower Home N. Shore Drive, Surf City Pier “A View from the End,” Bumble Bee Tower Home S. Shore Drive, and Bumble Bee Tower Beach Tour, learning the history and stories from Mayor Medlin, who is a native Topsailinian, Topsailite? Maybe he knows. 302 Tortuga Lane, Surf City, NC 28445. We’ll all gather together for a tour and reception at this truly special place. 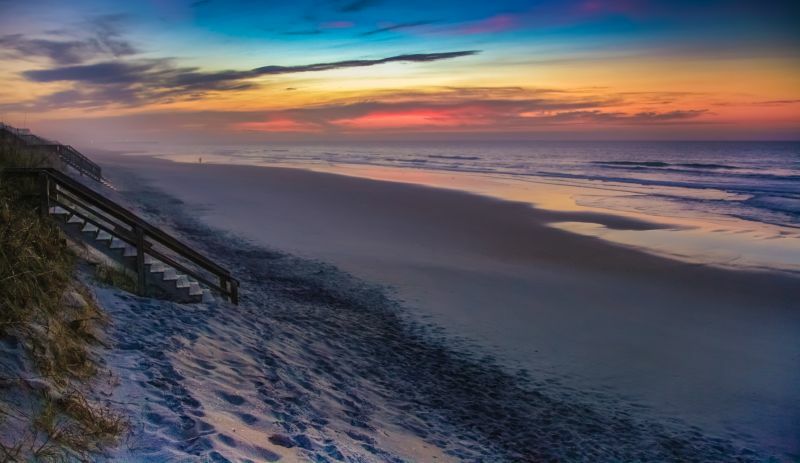 The Topsail Turtle Project was organized by Karen Beasley, as she saw the need to preserve and protect the Sea Turtle nests, nesting females and hatchlings on the 26 miles of coastline on Topsail Island. After Karen’s early death, the torch was passed on to her mother, Jean Beasley, today the Executive Director of both the nesting program and the rehabilitation center. We’ll spend time with Jean, an Oceana’s Ocean Hero, and more importantly, the turtles! Appetizers supplied by the Turtle Center volunteers, and beer and wine provided by Empire Distribution, a Berkshire Hathaway Company. Registration for this event is included in registration for the Gathering of Friends. If you have already registered for the Gathering then you are already registered for this event. If you haven’t registered, register below for the Gathering. Surf City Community Center, 201 Community Center Drive, Surf City. Walk from the Sea Turtle Hospital to the Community Center for dinner. Nosh on jerk chicken, beer brisket and shrimp and grits! Lots of delicious sides and desserts to stuff us silly. There will be a short welcome program which will include an exclusive raffle from sponsor AntiGravityGear, a lightweight hiking gear company based in Wilmington. Registration for this event is included in registration for the Gathering of Friends. If you have already registered for the Gathering then you are already registered for this event. If not, register below for the Gathering! 103 Triton Lane, Surf City. Join us for an after-dinner brew. Salty Turtle Beer Company is a veteran owned and operated brewery, dedicated to brewing a variety of crafted beer in a relaxing environment. The Salty Turtle is walking distance from the Community Center. Coffee and light breakfast snacks provided by our hosts. Surf City Community Center, 201 Community Center Drive, Surf City. 201 Community Center Drive, Surf City. Highlights include keynote speaker Walker Golder, Atlantic Flyway Coast Director at National Audubon Society, words from the new Director of State Parks Dwayne Patterson, updates about the trail, and awards for volunteers and MST completers. Agenda available soon. Learn more about the new regional trail, our goals for it, and our current projects along its planned route. Meet in the Surf City Community Center. 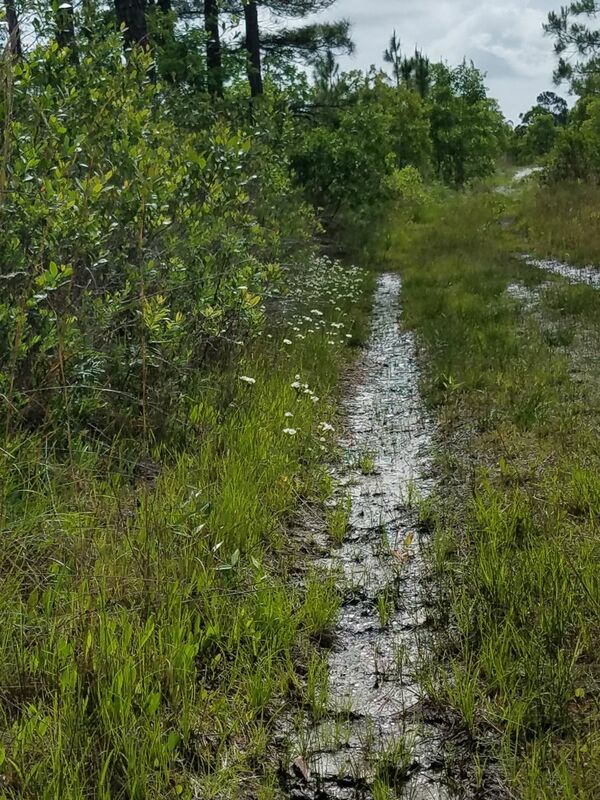 The Coastal Crescent Trail is in its infancy and has an opportunity to become a national model for how recreational trails can create opportunities for ecological conservation and restoration, flood resilience, as well as sustainable economic development in rural coastal communities. Ben Jones, the Friends new Coastal Crescent Trail Project Manager, will be leading a discussion about the new trail and showcasing ongoing work. He is a recent graduate of NC State’s Master’s of Landscape Architecture program and an experienced horticulturalist. While at NC state he worked as a graduate teaching and research assistant for the departments of Landscape Architecture and Horticultural Science, a research assistant with the Coastal Dynamics Design Lab, and as a design consultant with the Friends of the MST. 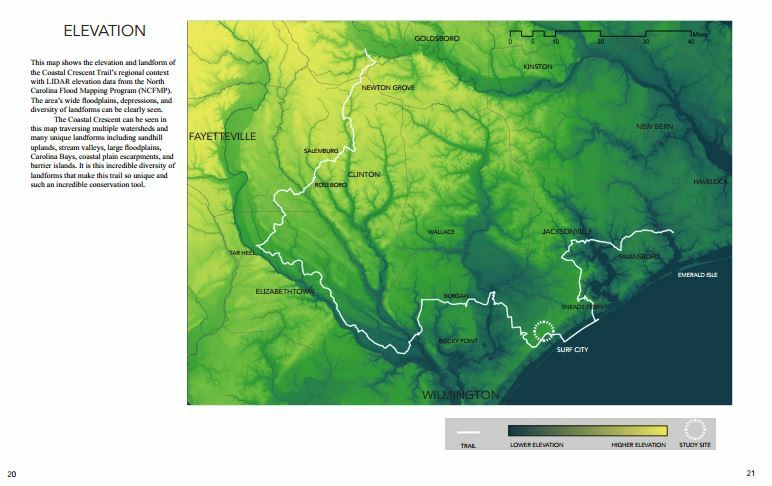 His final Master’s project in Landscape Architecture was a regional analysis of the Coastal Crescent Trail and site design for the MST in Holly Shelter Game Land. REGISTRATION APPRECIATED, ALL ARE WELCOME. Meet at the flagpole out front of community center. Although the MST is well-mapped, side trails or other local hikes may not have accurate or available spatial information to help hikers find their way. 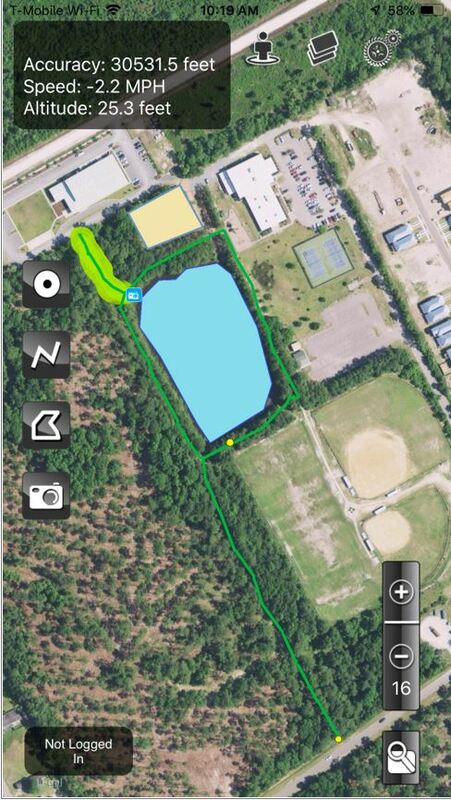 Through this workshop led by Surf City’s GIS Technician Mike Dickson, you’ll download a free mapping application to your phones; learn the basics of GIS; create a map of approximately one half-mile of trails near the pond at the Surf City Community Center—which will include lines (Trails), points (Bench, viewing point, gate), and polygons (Pond, dog park)—learn how to edit this information; and then learn how to access if for future use. What are geographic information systems (GIS)? How does GIS differ from something that is just a map? Meet at Surf City Community Center Entrance Outdoors. An inviting and informative entrance to a trail makes a good impression and intrigues hikers to find out what’s further down the path. Join Surf City’s Parks and Recreation Director, Chad Merritt, as he leads you in designing a trailhead – you’ll build a kiosk, place signage, landscaping, and install trail surfacing for the start of a local trail. No skills or tools needed. Trail stewardship supported by REI. Join our MST Class of 2018 for a Hike on the MST along Topsail Island. Meet at the Soundside Park, 517 Roland Ave, Surf City. Want to spend more time with the recent completers of the MST? We’ve arranged for them to be on this hike so that you can ask them all your urgent, and maybe not so urgent, questions about their hikes. Ask about gear, camping, food, spots along the trail – all the bits and bobs you need to know so you can add your name to the MST wall of fame. 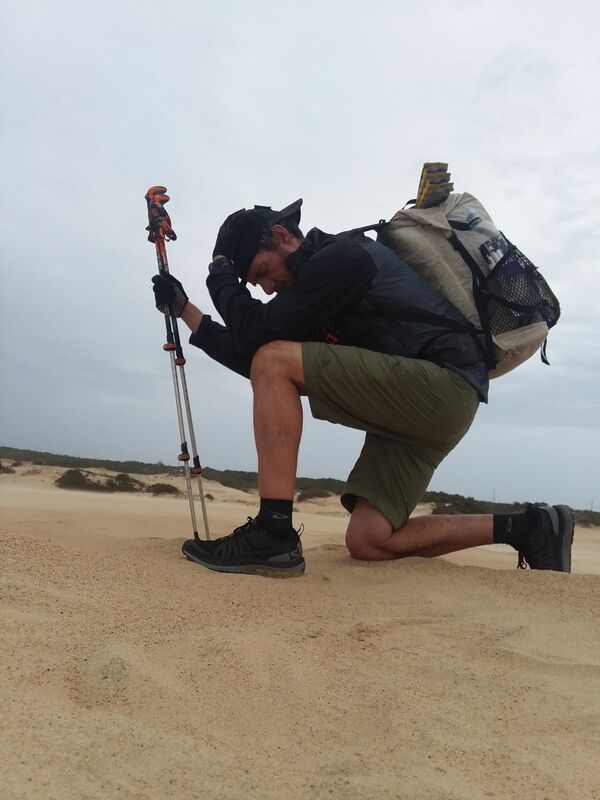 Siblings Roger Holland and Carla Gardner will specifically share about how they hiked the MST by leapfrogging, dividing the trail up into shorter distances to avoid long slogs and carrying a heavy pack. Mary Stewart’s specialty was section hiking and how to best utilize trail angels along the trail. David Nutt went westbound. Jeff and Debra Rezeli paddled, hiked and cycled. We’ll gather in Soundside Park, have a short round of introductions, and then hike to the MST on Topsail Island at our own pace. Mingle with the hikers and ask your questions. Meet at Everett Creek Preserve or at the playground outside the Community Center at 1:20 if you are interested in carpooling – Everett Creek is about 20 minutes away. Specific driving instructions will be shared. 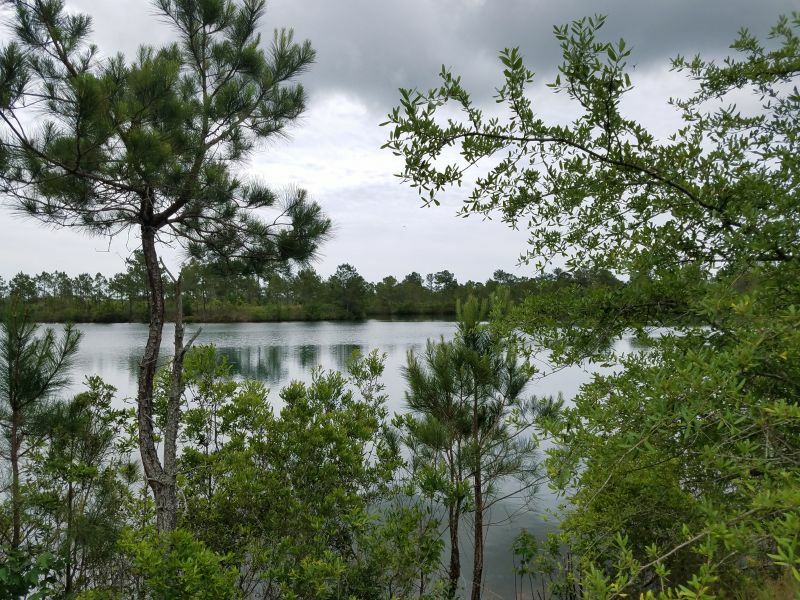 Everett Creek Preserve is a beautiful 240-acre property filled with longleaf pines and mixed hardwoods, a pollinator garden and trails, just over the Onslow County Line. Boy Scouts have built wooden benches that need be disassembled, carried in, and reassembled in their permanent locations. While doing this work, you’ll get to explore the nature, wildlife and history found on the preserve. The hike will be led by the Coastal Land Trust who owns and protects this land. You’ll learn about the history of the property and importance of habitat restoration. CLT graciously allows camping for MST hikers on this site. Meet at Soundside Park, 517 Roland Ave, Surf City. 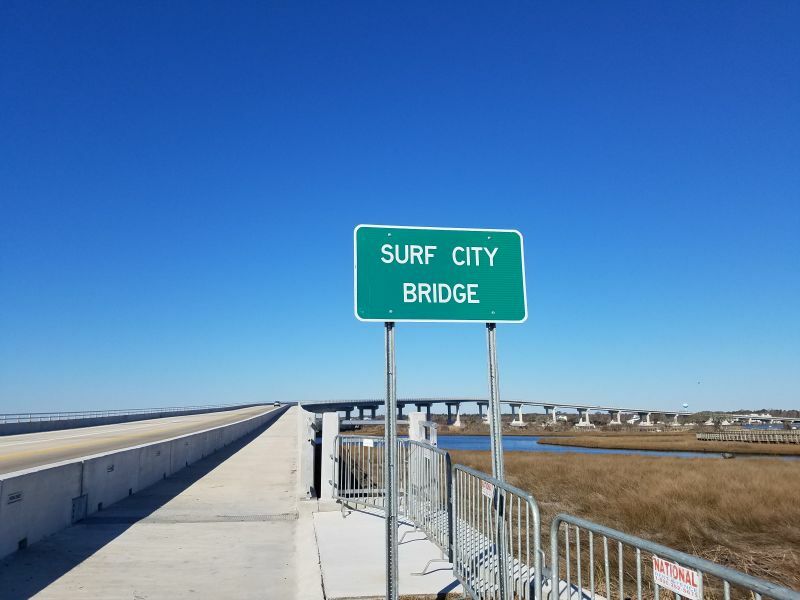 Join the whole group as we scale the highest heights at the coast on the newly opened Surf City Bridge which has a dedicated pedestrian lane. Friends will be the first group to hike the bridge en masse. We’ll meet in Soundside Park, distribute socks to all the registered hikers, walk the boardwalk to the base of the bridge, and then up and over at your own pace. Take photos of the island, the Intracoastal and the Ocean in one shot. Best views of sunset, which is at 7:29 that evening, are from Soundside Park. We encourage folks to loiter on the island, visiting one of the many restaurants for dinner before heading home for the evening. Thanks to our sponsors, Farm to Feet, all those registered for the Gathering who hike the bridge will get a free pair of their socks! Paddle 4 Troops will host and cook a pancake breakfast. Any donations ($5 per plate) will benefit the Paddle 4 Troops production of a fun and competitive paddle race for veterans on the Intercoastal Waterway in the fall. The breakfast will be held at Surf City Welcome Center. Meet on the beach directly out from the Surf City Welcome Center, 102 N Shore Dr. MST Volunteer and retired American Baptist minister Mike Cunningham will lead a worship service. Mike and his wife, Vickie, moved to Sneads Ferry in Onslow County a year and a half ago, where they happened upon task force leader Tim Supple at the Ace Hardware. He then got involved in trail maintenance in segment 15B and has put in many hours on the MST since. There is plenty of parking on site, and the beach access is to the right of the Welcome Center. The service will be casual, and you are welcome to bring your own chairs or beach towels if you’d like to sit. Meet at Holly Shelter access (Lodge Road), located off NC Highway 17. This program introduces participants to Longleaf Pine and Pocosin habitats found naturally in Holly Shelter Game Land; a 60,000 acre public trust property owned and managed by the North Carolina Wildlife Resources Commission. Because the Game Land is so large and diverse, transportation between sites will be by carpooled vehicles of the hike participants. Let the hike leader know if you’re willing to drive yourself and other participants that day. 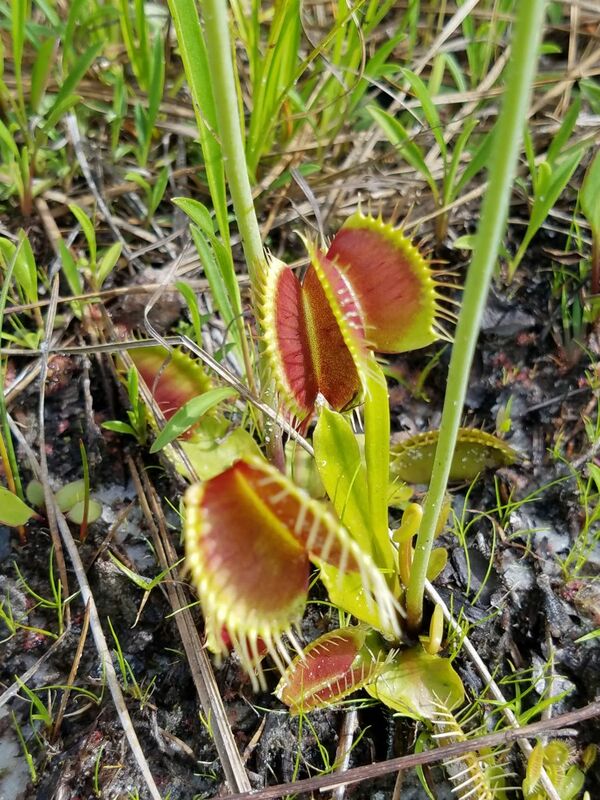 The four-hour trip will feature frequent stops to observe significant interest areas, including some of North America’s most diversely populated carnivorous plant gardens highlighted by some of the world’s last remaining natural populations of Venus’ Fly Trap (Dionaea muscipula). While immersed in the Longleaf Pine ecosystem, where endangered Red-cockaded Woodpeckers dwell, participants will also explore isolated rain pools supporting more species of frogs than just about anywhere else within the Atlantic coastal plain, north of Florida. With more than 1,000 species of wildflowers and other plants, along with hundreds of identified wildlife species, Holly Shelter is a nationally significant wild area situated between Wilmington and Jacksonville, NC; two rapidly urbanizing coastal communities. This to say, Holly Shelter is one of the last great natural places in southeastern North Carolina. This program’s leader is Andy Wood, a recognized coastal plain ecologist and award-winning conservation educator. For more than three decades Andy has observed and studied this ecoregion’s rarest and most-imperiled species and their habitats, in-turn sharing his observations as a public speaker, author, and public radio commentator. As director of Coastal Plain Conservation Group, Andy leads “The Magnificent Rescue: Saving a Voice of the Swamp;” a species survival campaign he has led since 1992 to all-but-singlehandedly prevent extinction of Planorbella magnifica, the Magnificent Ramshorn; North America’s largest aquatic lunged snail. Known only from four locations inside a 40 square mile area of the lower Cape Fear River freshwater swamp ecosystem, this charming snails is now gone from the wild due to saltwater intrusion, but remains alive in Andy’s captive care. Meet at On Shore Surf Shop, 409 Roland Ave., Surf City. Get outfitted with a PFD at On Shore Surf Shop and stand up paddle board or kayak and then launch at 10:00 a.m. We’ll traverse the Intracoastal Waterway with guide, George Howard, for a two-hour excursion. $20 fee per person for SUP or a kayak; must pre-register to ensure your spot. For more information call 910-328-2232. Meet at the Historic Train Depot and Chamber of Commerce, 115 S. Dickerson, Burgaw. 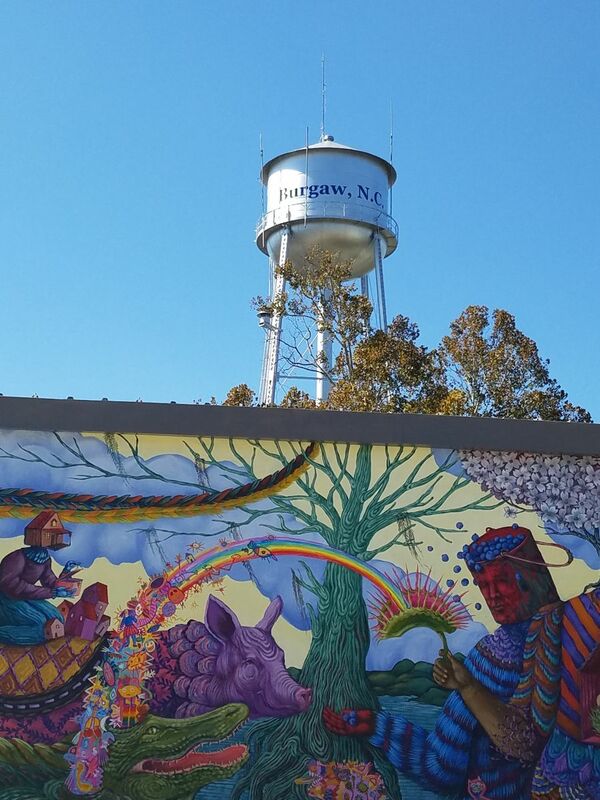 The MST runs through the Town of Burgaw, following the Osgood Canal Trail. The bollards and stop bars suffered increased wear and tear during the hurricanes – some were under water and all had damage from debris. 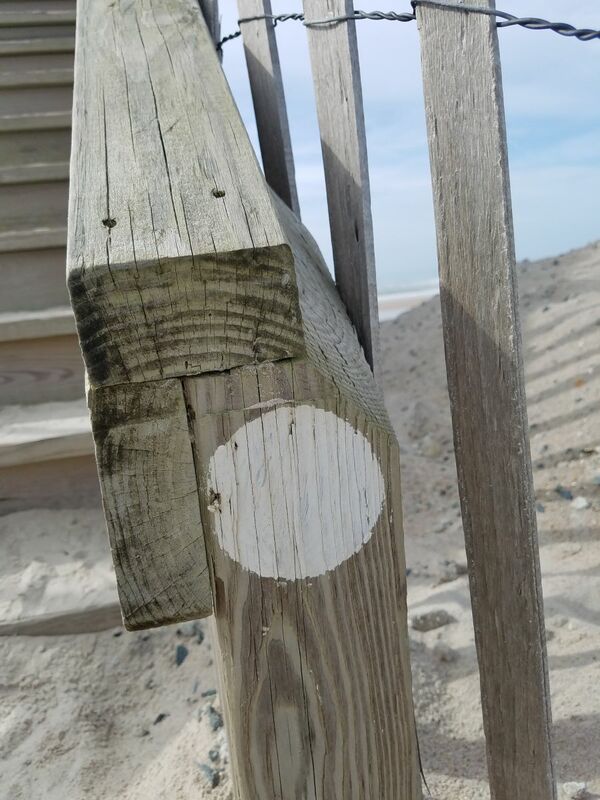 We’ll help the town repaint these bollards and stop bars so the trail looks brand new. No skills or supplies needed. You’ll be met at NC’s oldest Train Depot by a Burgaw resident who will share briefly about the town’s history and culture. Afterwards, we suggest lunch at local favorite, MeMaw’s Chicken and Ribs (602-G Hwy 117 N.) in Burgaw before heading home. Trail stewardship supported by REI. Download self-guided directions for all area MST hikes – Holly Shelter, Stones Creek, beach parts of Topsail, Jacksonville, and Burgaw. These directions refer to the trail guides, which you can download here. The second edition of the Coastal Plain and Outer Banks guide will be available for sale at the Gathering as well.